This linked site has been built and maintained by Kathie Weigel of Reseda, California, USA. Use your back button to return to this page. You will find Gwennap listed in the Redruth Directories, but search using the word Gwennap. Project to aid those who are interested in locating genealogical information in Cornwall. Volunteers freely donate their time and research to help those interested in their parishes. Each has gathered information they consider relevant, and will answer e-mail inquiries. Some have websites and others do not, depending on the nature of their resource materials. If a request exceeds the resources the OPC has, they can often offer research guidance or referrals. 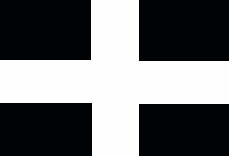 For a list of all OPCs, and the parishes they represent, please click on the OPC-Cornwall link. The authors of original work on this site give permission to copy and use this information on the following conditions. Copyright © 2005 / 06 / 07 . All rights reserved. Revised: September 04, 2007 .